"Amrit Vayu Equipments Private Limited", initiated its business processes in the year 2015 and acknowledged as the quickest growing Manufacturer, Wholesaler and Supplier firm producing modern day Industrial Products. In acquiescence with quality criteria, we bring forward a broad range of high accomplishing products, such as Refrigerated Air Dryer, Air Compressor and Air Filter. Our line of products is thoughtfully fabricated by procuring raw materials from authorized vendors and highlights the advantageous characteristics of leading technology, quality development, ease of installation, chemical resistance and user-friendly operation. In addition to this, we are influential in providing best-in-class services to customers. 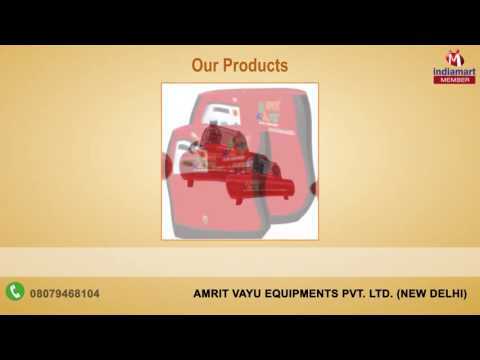 We are offering our products with Brand Name of Amrit Vayu.